Japan may have a reputation for being an expensive country, but you will find that there is a wide range of options where it comes to restaurants and food stands, and eating well doesn’t have to cost a lot. Below you will find information about Japanese-style restaurants and food chains with some examples. Izakayas are Japanese-style pub/bars that are popular for dining with colleagues or friends. Similar to Spanish tapas bars, diners choose a selection of small dishes to share. Beer, sake, shochu (焼酎, a kind of Japanese spirit) or chu-hi (酎ハイ, highballs made with shochu) are all available. You may receive an otoshi (お通し, a small dish of food) just after you arrive or with your first drink, which is not free and usually costs a few hundred yen. Tabehoudai (食べ放題, all-you-can-eat) and nomihoudai (飲み放題, all-you-can-drink) courses are often available at larger chains. Kaitenzushi restaurants are a cheap and fun option for sushi-lovers. You can choose from the many appetizing selections that travel around on a small conveyor belt in front of you, or order directly from one of the chefs. Water and green tea is usually self-service, with a hot water faucet at each table to make tea. The color of the dishes is used to indicate the price, and the number of dishes are counted to calculate the bill. Each plate costs typically costs from 100 to 500 yen. Kappa Sushi , Sushiro and Kura Zushi (Japanese only) are some kaitenzushi chains that have a fixed price of 100 yen per plate. You can choose from the many appetizing selections that travel around on a small conveyor belt in front of you. Each plate costs about 100 Yen to 500 Yen. The color of the dish is used to indicate the prices. Family restaurants, many of which are open 24 hours, are designed to offer affordable stress-free dining when eating out with kids. The menus have a wide range of food to choose from, often including hamburgers, steaks, pasta and pizza in addition to more Japanese options. Tables often have buttons you can push for service, so you will not have to flag down a waiter. Even if you are not hungry, you can order the “drink bar” (with unlimited refills) and stay as long as you like to study or chat with friends. As such they are popular with high school students. Some famiresu chains include: Gusto , Royal Host (Japanese only), Saizeriya (Japanese only), Denny’s (Japanese only). Teishoku restaurants are Japanese eateries serving traditional Japanese food where the main dishes are served in sets with other items – usually miso soup, rice, pickled vegetables and other small side dishes. Meals are often ordered through a ticket vending machine. Many Japanese cuisine items are available as teishoku, including tempura, tonkatsu, shougayaki (生姜焼き, grilled pork with ginger sauce), ebi-fry (エビフライ, fried shrimp), korokke (コロッケ, Japanese croquettes), menchi-katsu (メンチカツ, deep fried cutlet of ground meat) and sashimi. Cafes and Kissaten are casual restaurants where you can enjoy tea, coffee and light sweets. Many cafes offer a “morning service” that includes toast and an egg, while full-service restaurant cafes will offer reasonably priced set meals at lunch time. Kissaten are usually small, older establishments with an atmosphere reminiscent of pre-war Japan. In addition to American fast-food chains such as McDonalds, Subway and KFC, Japan also has its own unique fast-food culture and has several domestic fast-food chains. Fast-food restaurants that specialize in noodles and rice bowls often have a ticket vending machine at the entrance where you order and pay for your meal, before giving the ticket to the staff. 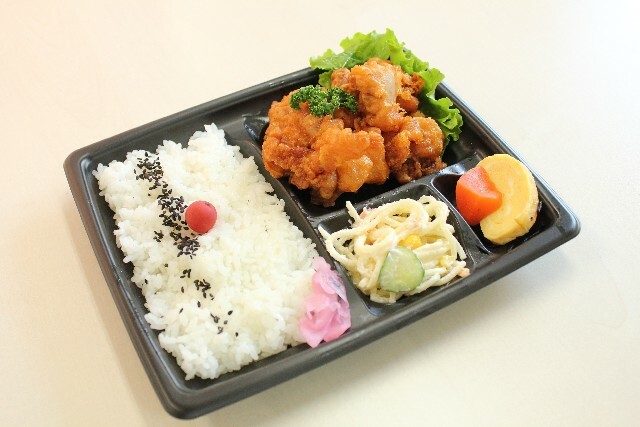 Fast-food versions of traditional Japanese lunch boxes are sold in plastic take-away containers at bento-specialty stores, convenience stores, and in supermarkets. When travelling Japan by train, you can also find eki-ben (駅弁, lunch boxes filled with regional specialities) at train stations. The original Japanese fast-food, these bar-style restaurants specializing in noodles such as ramen (ラーメン), soba (そば), or udon (うどん) are often located near train stations for people in a hurry. Noodles are served hot or cold with the topping of your choice. Ramen is an especially popular soul food for starving businessmen and students. Gyūdon is a popular dish of stewed beef on rice, with fast service and prices under 500 yen. Popular gyudon chains include Yoshinoya (Japanese only), Matsuya , and Sukiya (Japanese only). Tempura is usually expensive, but you can enjoy a cheap and delicious bowl of fresh tempura on rice at the Tenya Tendon chain. The Harajuku location has an English menu. 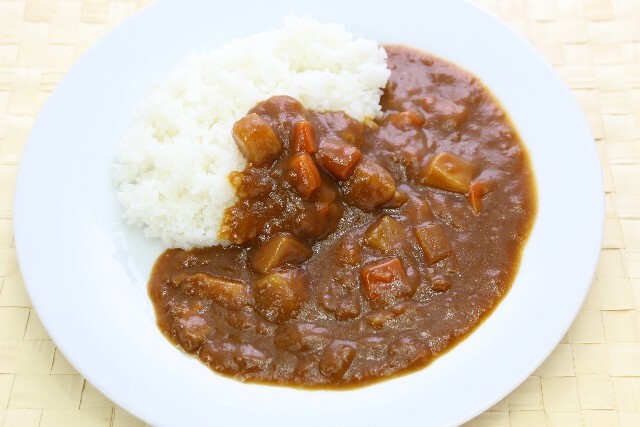 Japanese curry is on the menu at many cafes, family restaurants and gyūdon chains. If you are looking for a greater variety, a dedicated curry chain, like CoCo Ichibanya is a good choice. Lotteria (Japanese only), MOS Burger , Freshness Burger , and First Kitchen are some hamburger chains that originated in Japan, with menus that differ slightly from American fast-food chains. MOS Burger offers rice burgers and Freshness Burger offers a vegetarian burger, while First Kitchen has expanded its menu to include chewy pasta that appeals to Japanese tastes. For those with insatiable appetites, there are numerous viking (バイキング, buffet-style) and tabehodai (食べ放題, all-you-can eat) restaurants, where you can eat to your heart’s content without worrying about the bill. These services usually come in set prices with time limits of around 90 minutes to two hours. All-you-can-eat buffets are available at some hotels and specialty restaurants. Popular chain restaurants include Shakey’s (all-you-can-eat pizza) and Sweets Paradise (all-you-can-eat desserts). Some drinking establishments also offer nomihodai (飲み放題, all-you-can drink) menus. Food delivery, also known as demae (出前) in Japanese, are available in a variety of food businesses. Popular ones include pizza such as Domino's Pizza , or soba, sushi, and Chinese food. Orders can be made through phone, fax, or online. The English website Maishoku is a service that allows you to order food online from any participating delivery chain in your area. The outlet choices and menu are displayed in English and no commission fee is charged for their service.